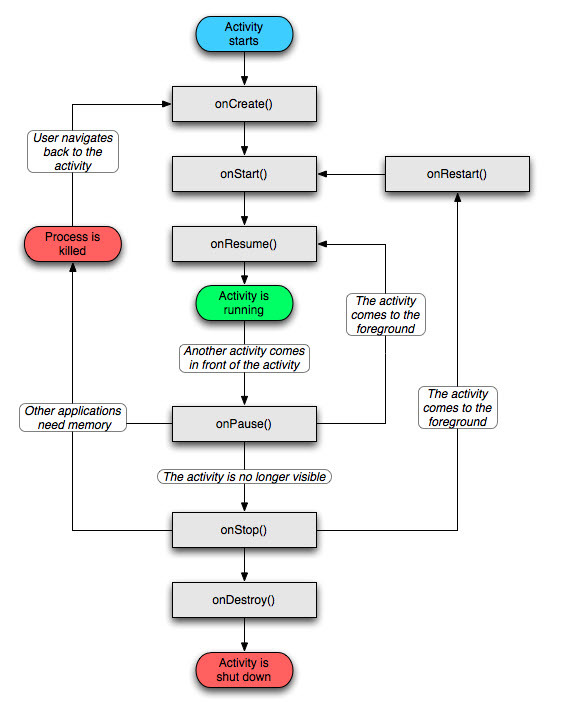 Activity - An activity is a single focussed thing that a user can do. Since most of the activities interact with the user, Activity class creates a window in which we can place our UI components. The following diagram shows the life cycle of an activity. This diagram is taken from developer.android.com. Sample Application - We will try to build a simple app in Android which will allow us to insert some text in a textbox and on click of a button will log the text in the debug logger. 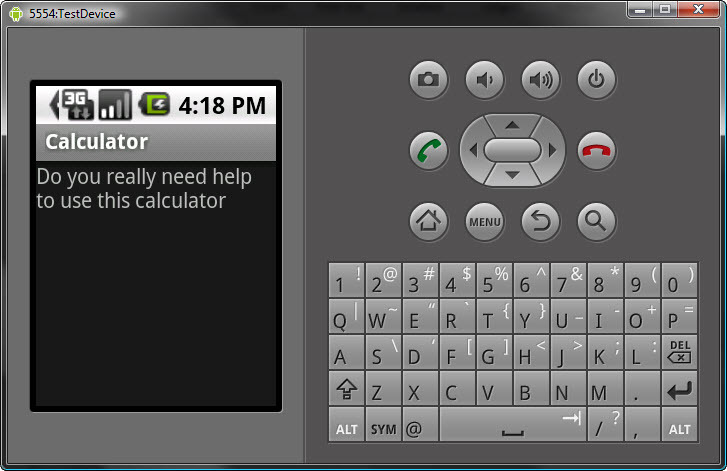 We will also create a help button, which will allow us to go to a different activity. 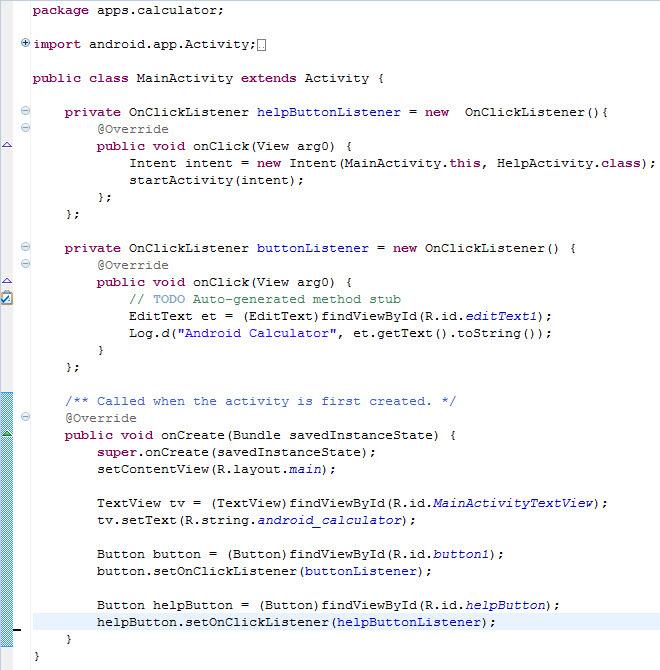 Here, in the MainActivity class I create an OnClickListener variable that takes care of the click event. Here, unlike .NET, we can not get the text value by doing something like EditText.Text. 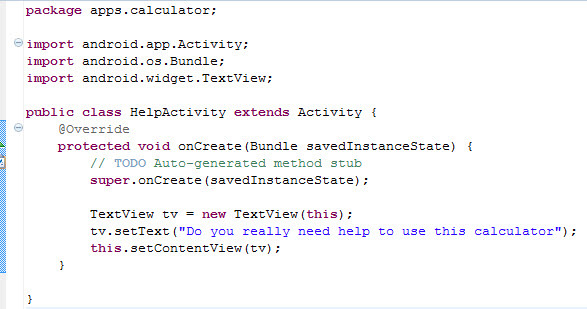 There are no such properties, so we have to use the findViewById method to find the view and then use its getText() method to get the text. Log.d takes a tag and a message. 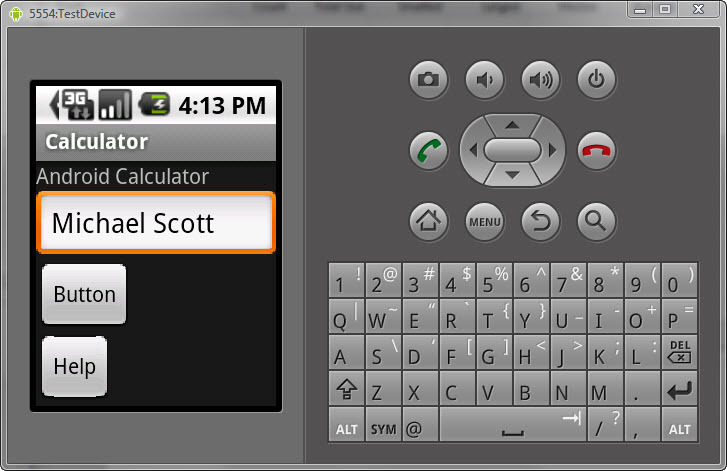 After clicking the button, you can navigate to the DDMS perspective in Eclipse and in the LogCat window, you can see the text logged as shown below. After clicking the help button, you can see that the app navigates to a different view. If you are wondering, why this app is called Calculator, thats because I plan to create a simple Calculator app but just for starters, I created this app.